It has to look appealing. Do you want to grab a fork or spoon and go for it? It has to taste good. Take a quick scan of my blog…do you see any recipes for broccoli? 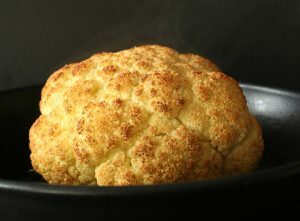 I happen to hate broccoli and have yet to find a recipe that will make me enjoy this vegetable. I blame my mother. It has to be achievable both in skill level and completed in the amount of time I have to feed my family. I’m not a trained chef, just an adventurous and enthusiastic home cook. Over the course of the last three years my approach to finding ideal recipes has changed somewhat. 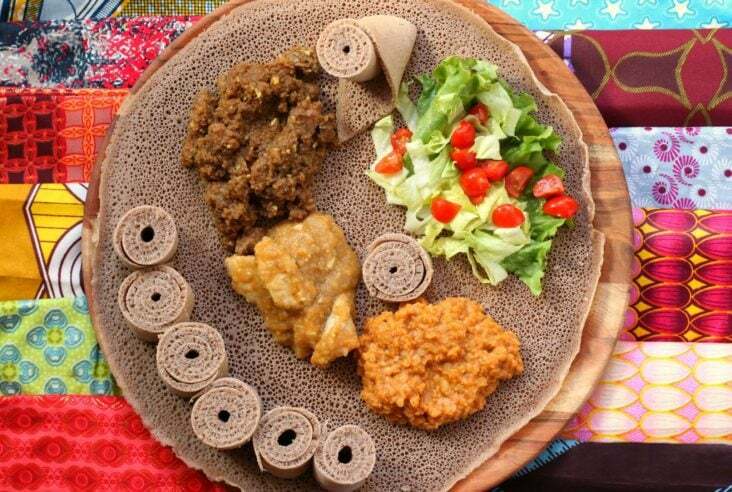 Now that my daughter is vegan I look for dishes that can be easily altered to suit both a vegan diet and a non vegan diet. 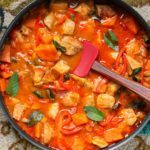 This pork and mango red coconut curry ticked all those boxes and was easily converted for her vegan diet. I had three pork steaks in the fridge and the remains of a case of mangoes that I had picked up last Friday at the Calgary Farmer’s Market. We were doing pretty good just eating them as they were but with three left I knew they would need to be eaten sooner rather than later. 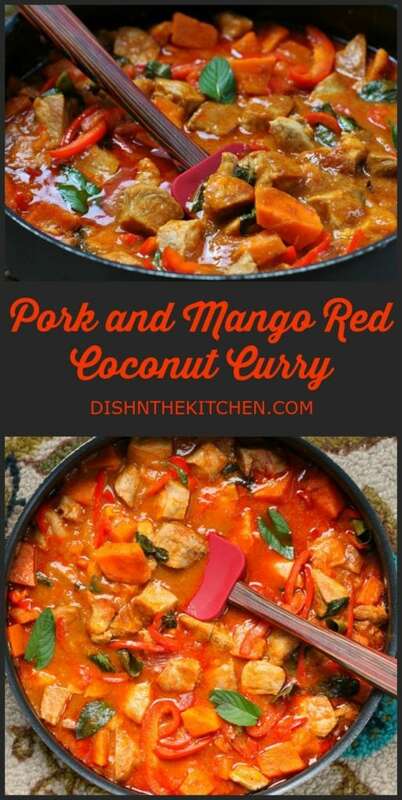 I started a google search for Pork and Mango curry but none of the recipes that popped up caught my eye, so I directly searched a few blogs that I enjoy reading…turning up nothing. I ended up just creating this on my own with the ingredients that I had on hand and I was quite happy with how it turned out! 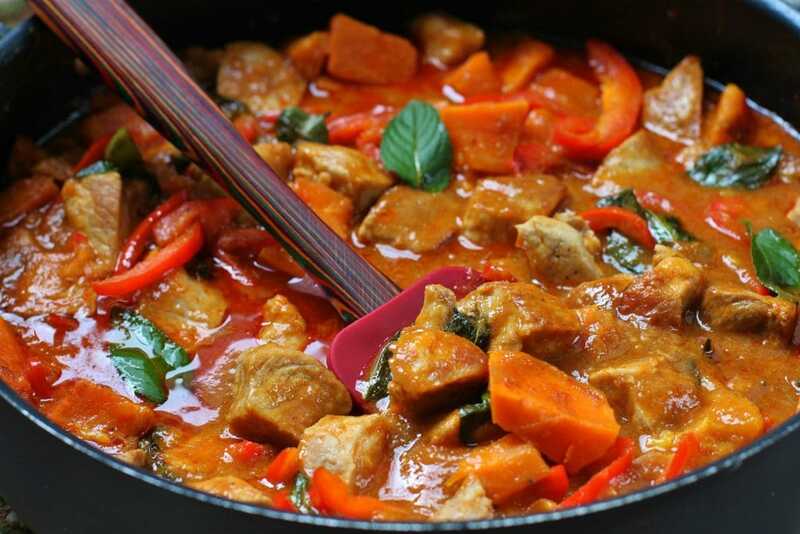 A quick, delicious weeknight curry made with pork with vegan option. 2 mangoes, peeled, pitted and and puréed. Save the mango pits. Scoop the cream at the top of the can of coconut milk (about halfway down), and add it to a large fry pan. Bring to a boil over medium heat. Stir in curry paste and turn heat down to low. Simmer, without stirring, until fragrant and coconut cream starts to release oil, about 3-5 minutes. Add the rest of coconut milk and vegetable stock and bring to a boil. Reduce heat and add mango pits and sweet potato cubes. Cook until tender, about 15 minutes. Take out the vegan portion here and set aside or if making entirely vegan proceed to next step. In another pan sauté red pepper strips until just cooked. You could also add any other vegetable into the quick sauté... zucchini would be perfect (because my vegan loves them!) but I am allergic so I tend to avoid adding them. 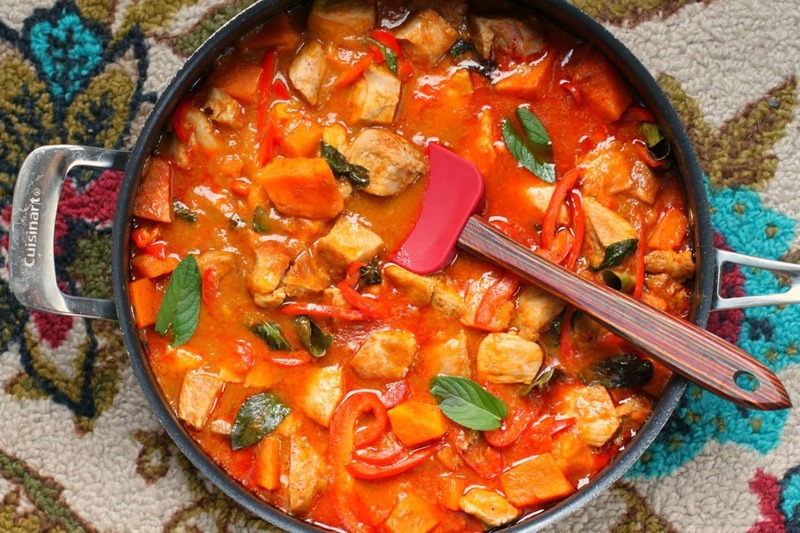 Add a portion of the peppers to the vegan red curry sweet potato and set aside the rest. Add pork steaks to the hot pan and brown each side making sure to season with salt and pepper. Remove from pan and chop the pork into bite size portions. Add pork, red peppers, and puréed mango to the sauce in the large frying pan. Season with fish sauce and sugar (taste curry and add more fish sauce if desired). Add Thai basil and kaffir lime leaves, and remove from heat. Remove mango pits. Serve with rice. 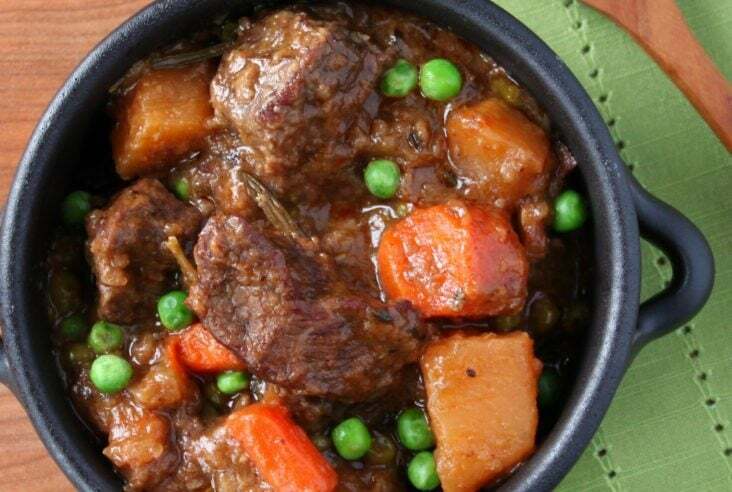 For the vegan portion, you can add whatever vegetables you would like or simmer in a 1/2 can of chickpeas or any bean for an extra hit of protein. Lunch today: bag of broccoli sla, horseradish mayonnaise (or vega aisle with horseradish) cashews. 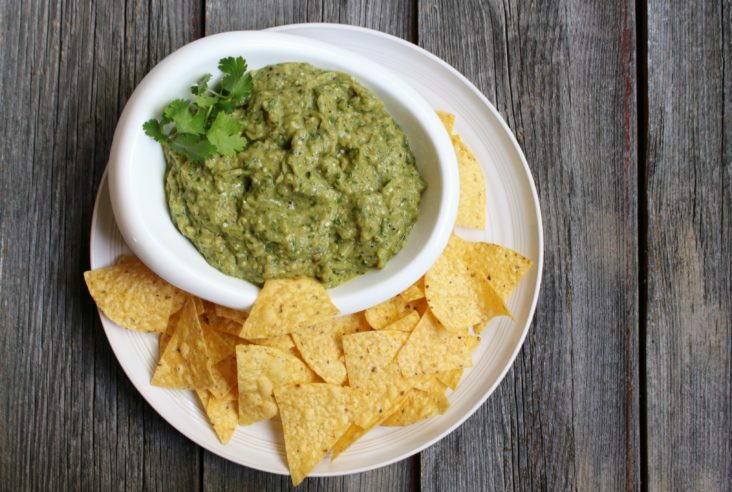 Seriously yum!